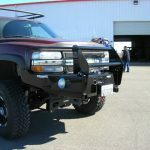 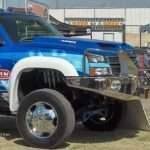 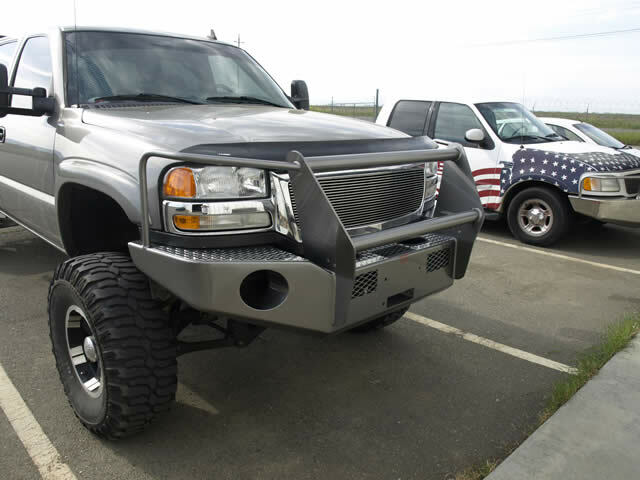 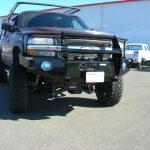 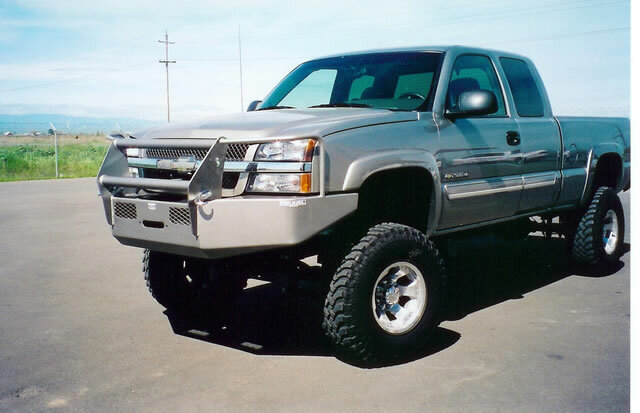 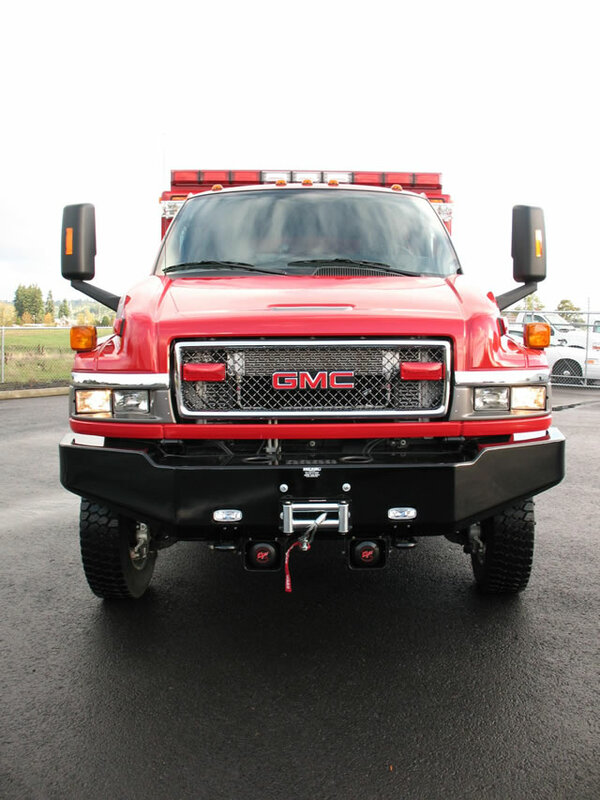 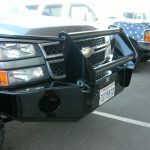 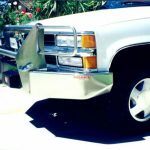 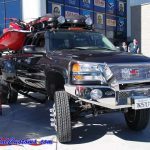 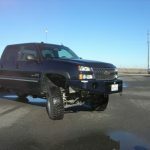 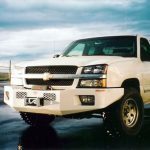 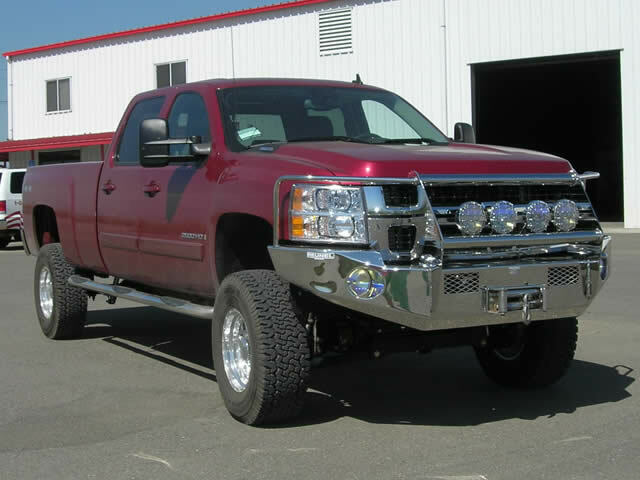 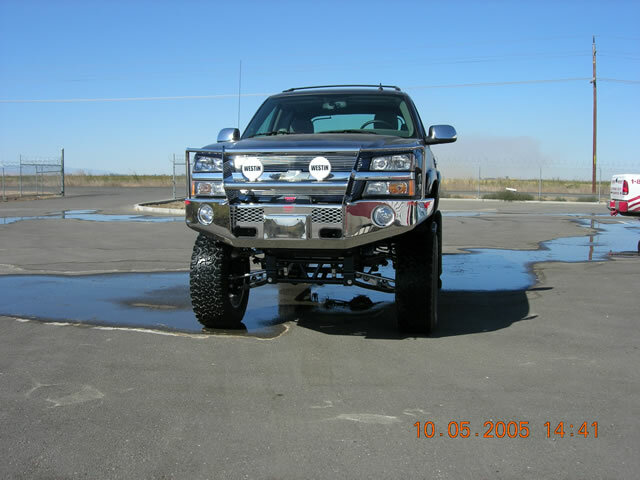 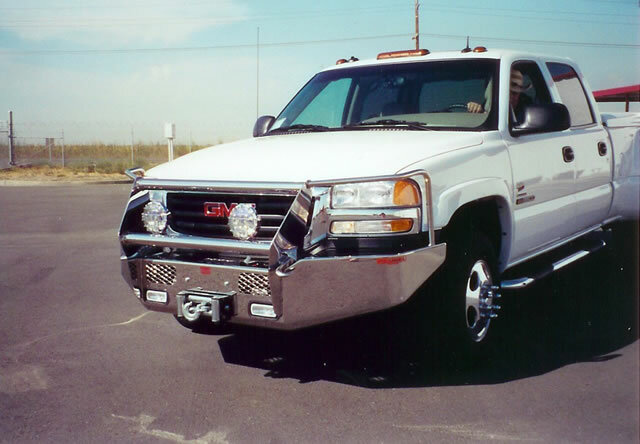 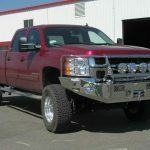 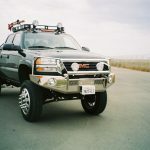 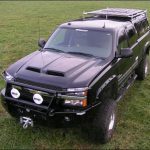 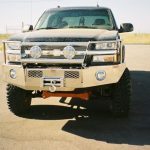 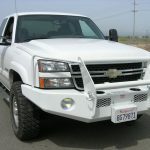 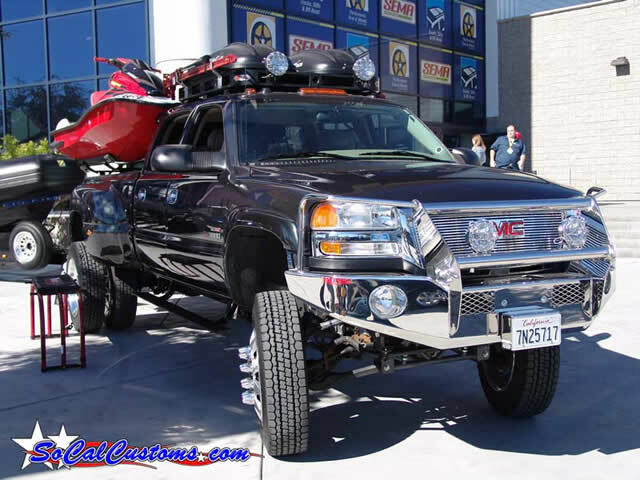 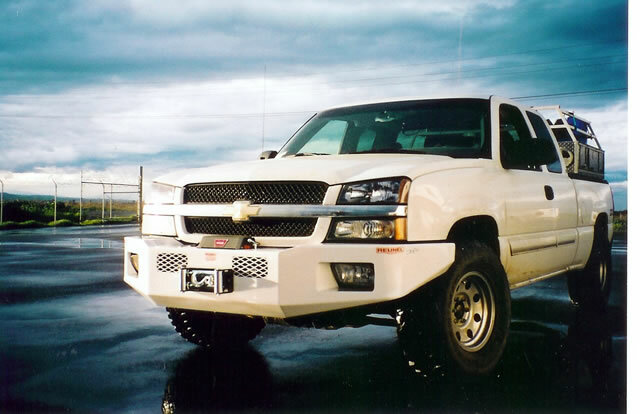 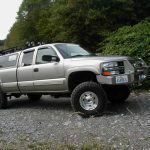 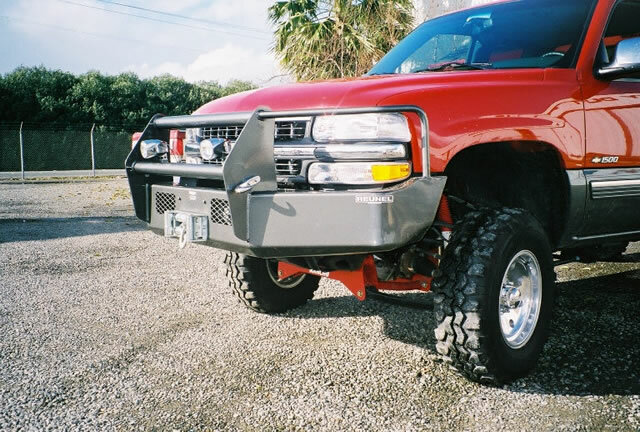 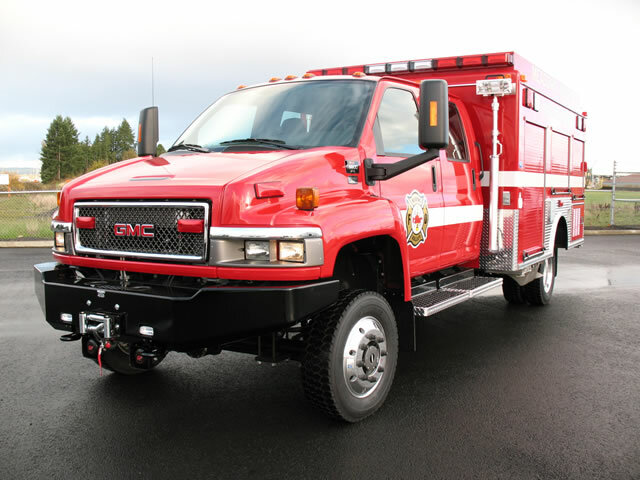 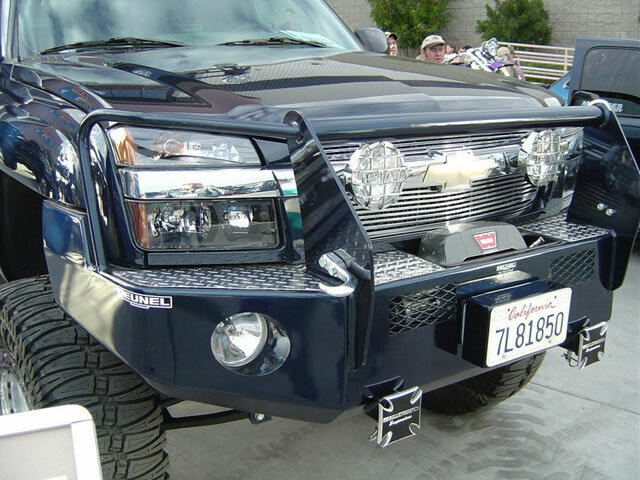 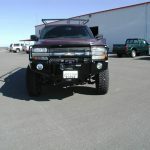 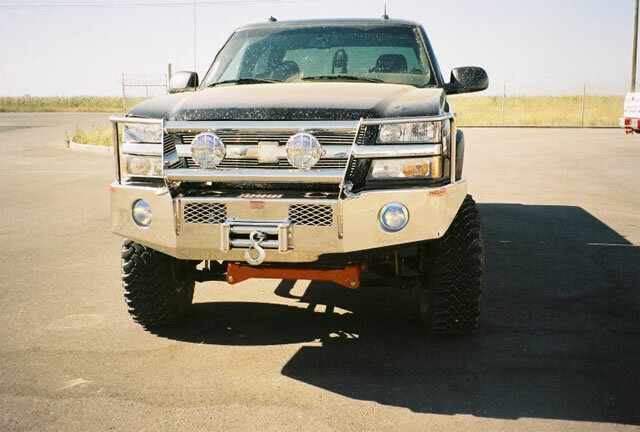 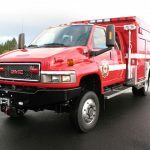 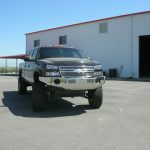 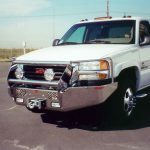 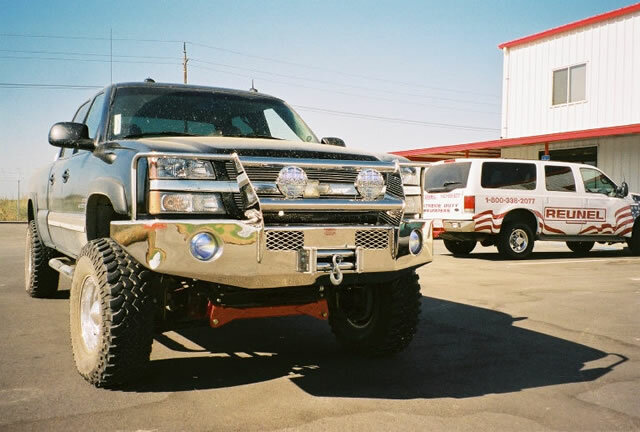 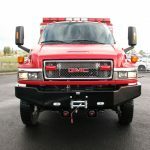 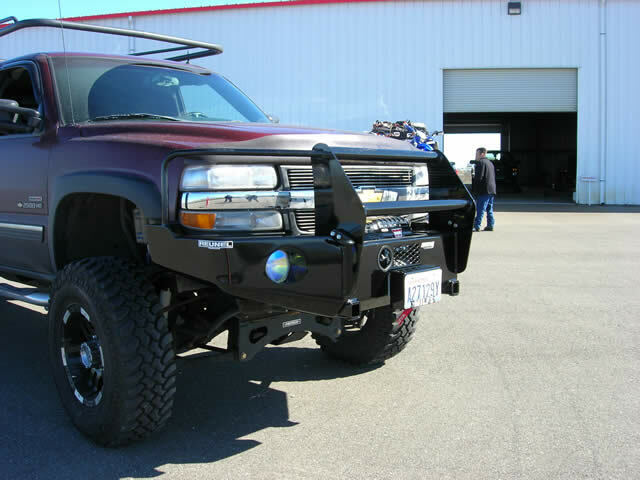 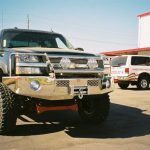 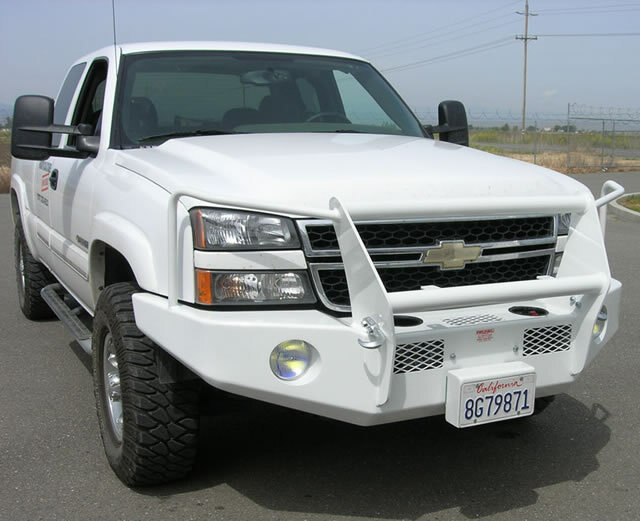 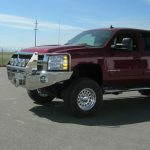 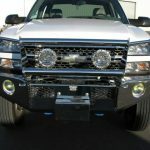 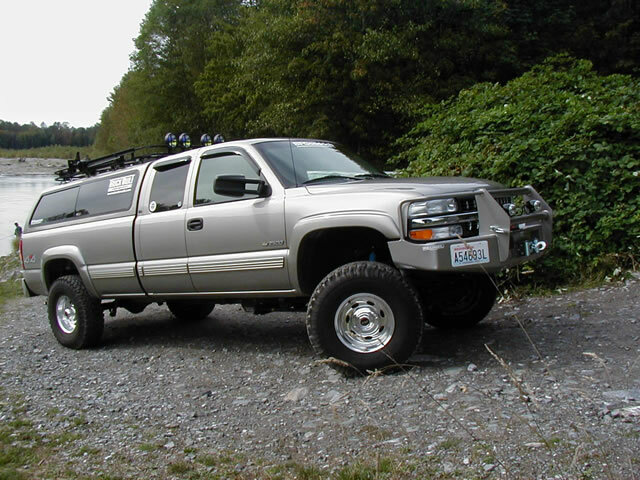 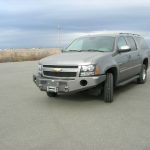 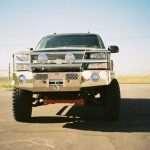 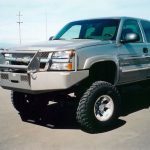 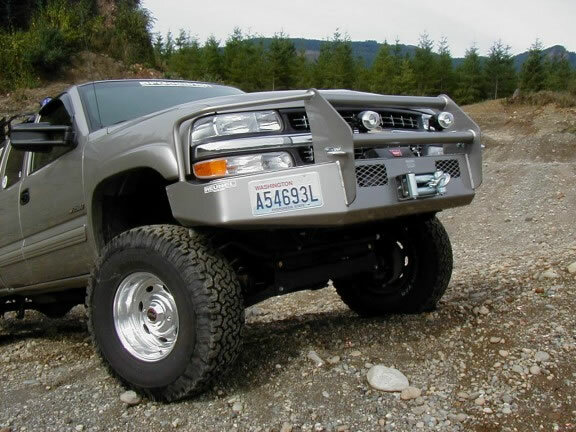 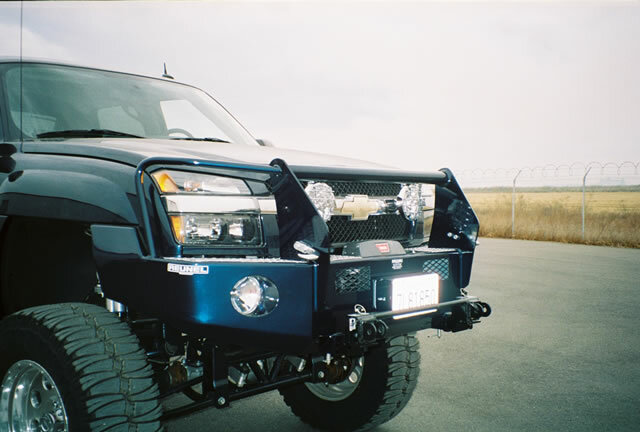 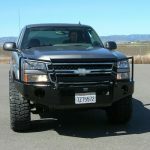 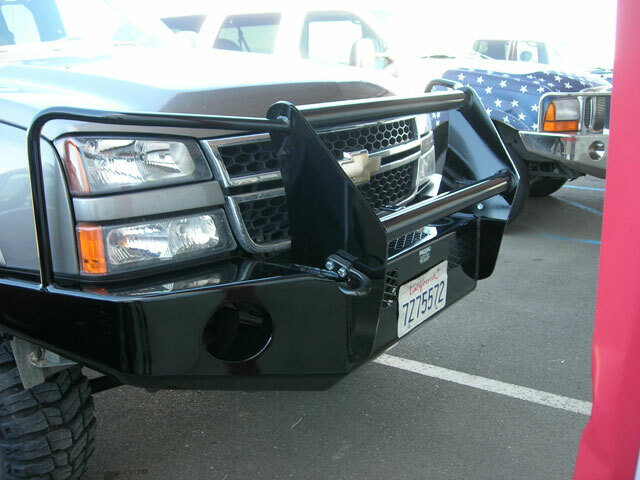 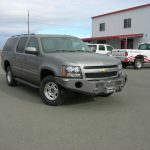 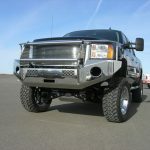 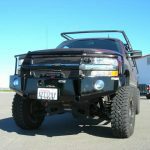 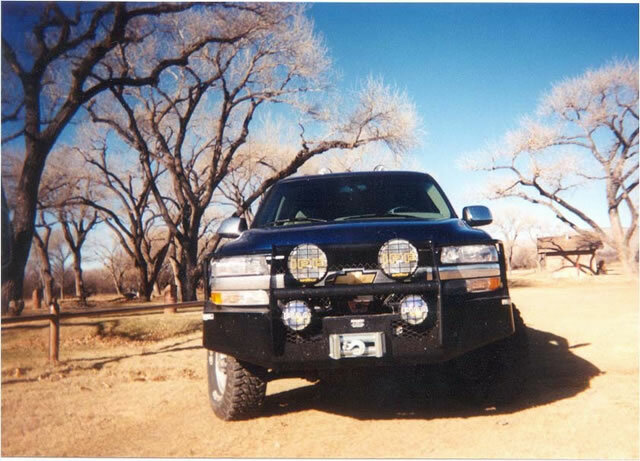 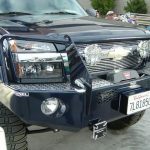 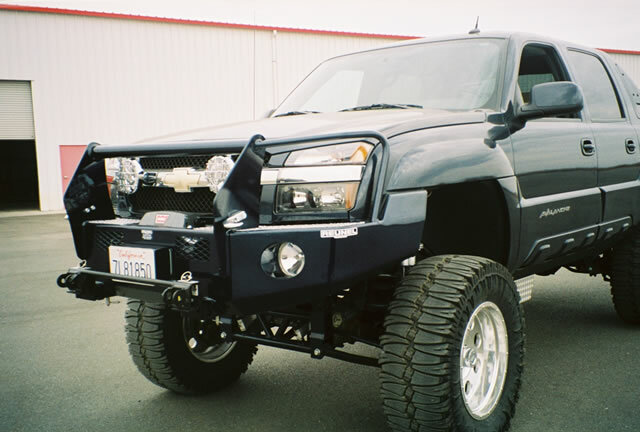 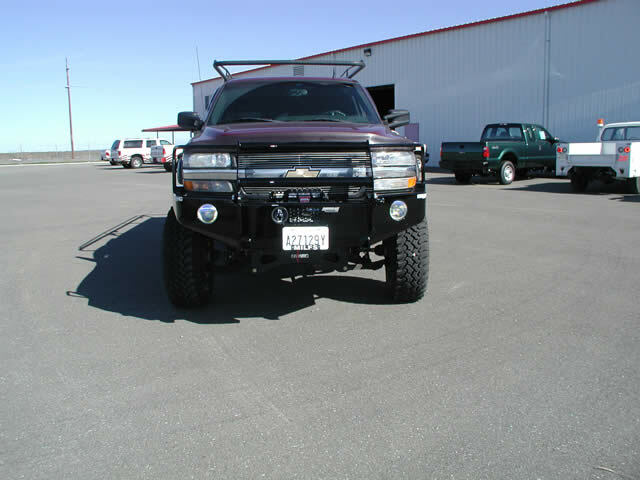 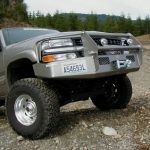 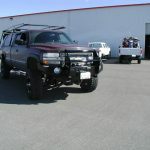 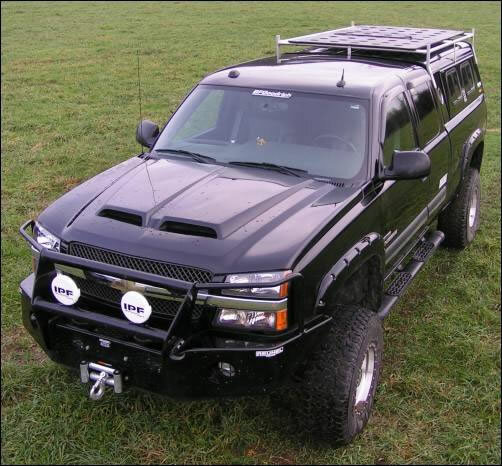 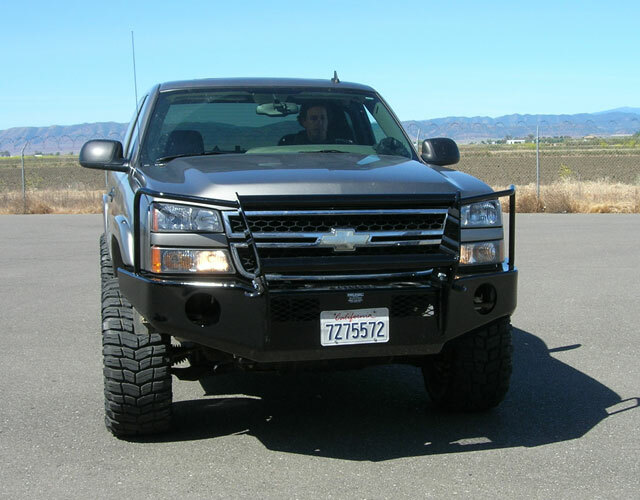 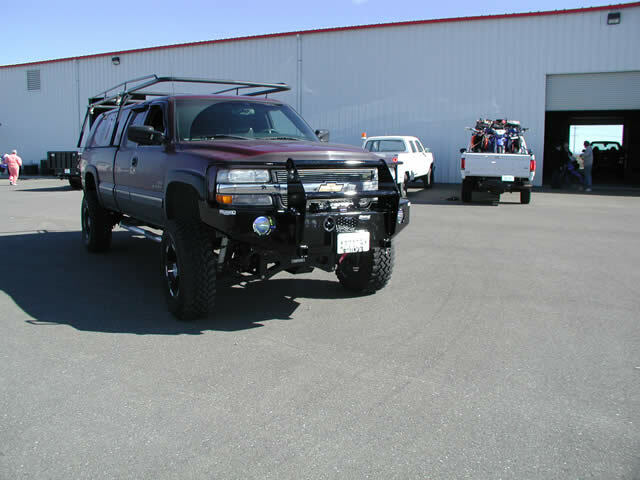 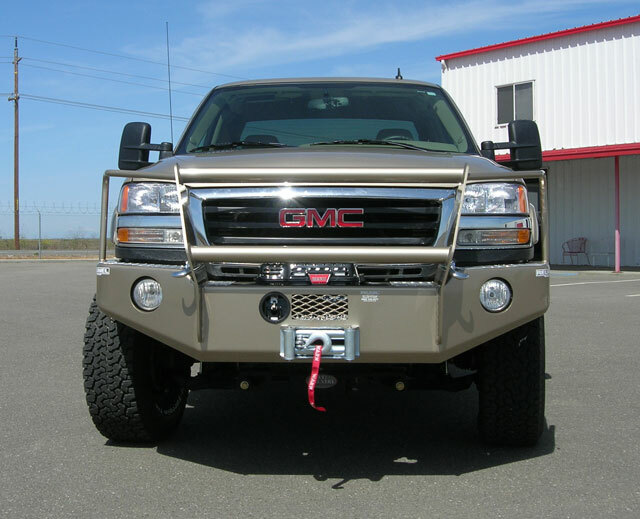 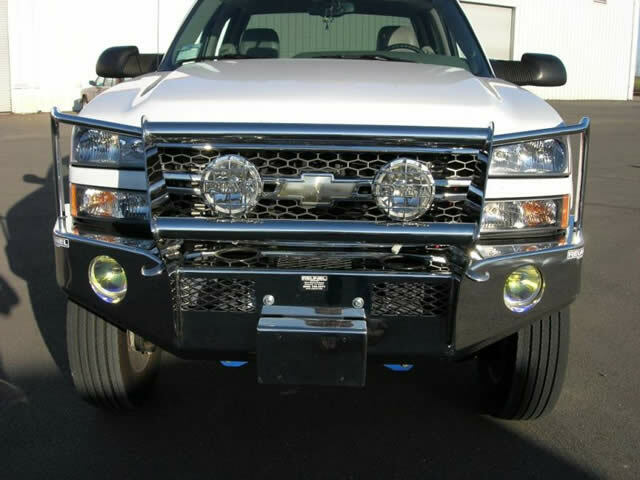 Reunel Extreme-duty winch bumpers add a stately presence to your Chevy or GMC. 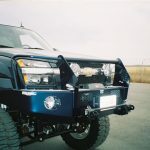 Built with a high-strength steel mounting system, each bumper is carefully crafted to the individual vehicle contours and structures. 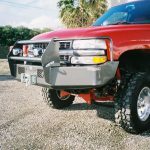 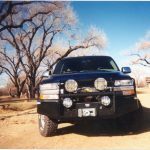 The main body of our Reunel extreme Extreme-duty front winch bumper is solid steel, welded from top-quality heavy plate steel or type 304 stainless steel. 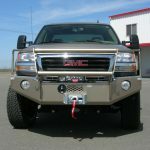 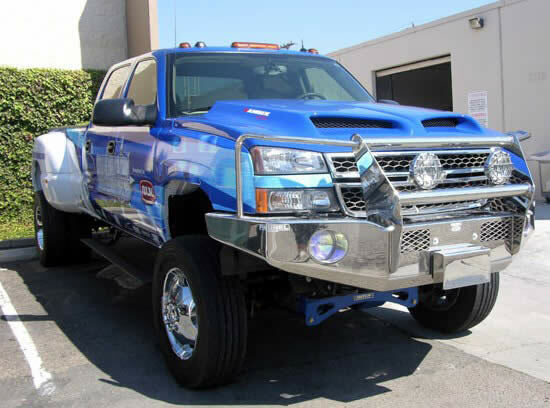 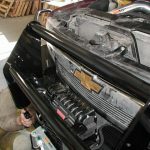 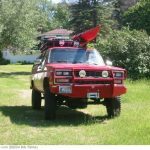 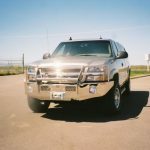 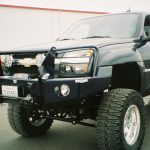 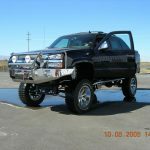 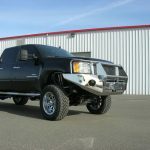 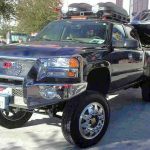 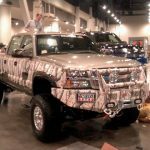 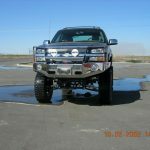 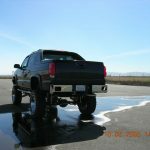 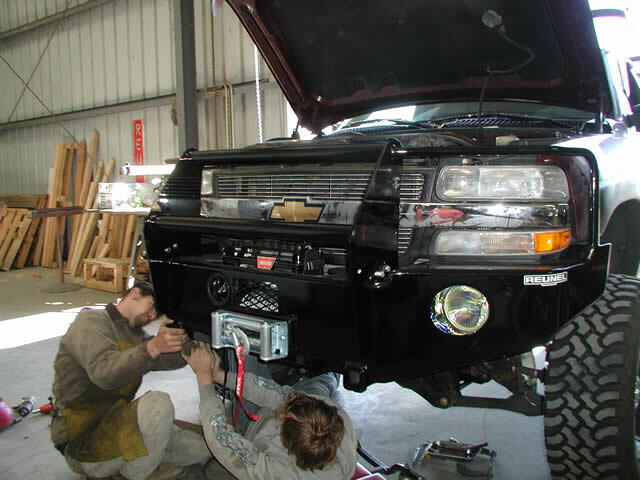 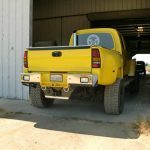 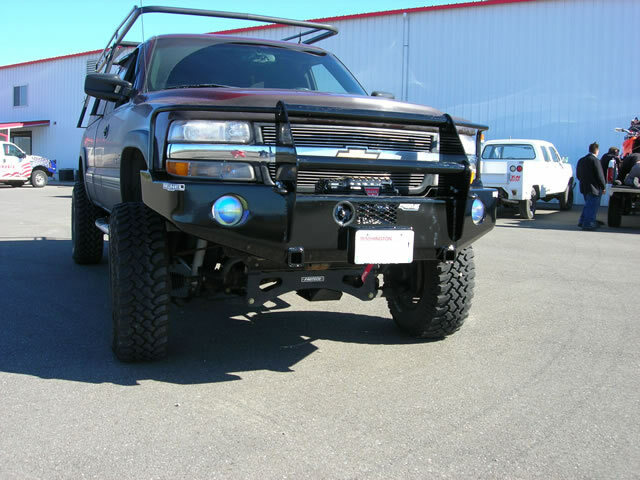 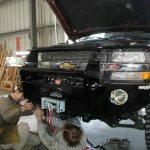 Mild steel bumpers are powdercoated with both primer and top coats and the world famous Reunel Extreme-duty stainless steel front winch bumper is hand-polished to a mirror finish. 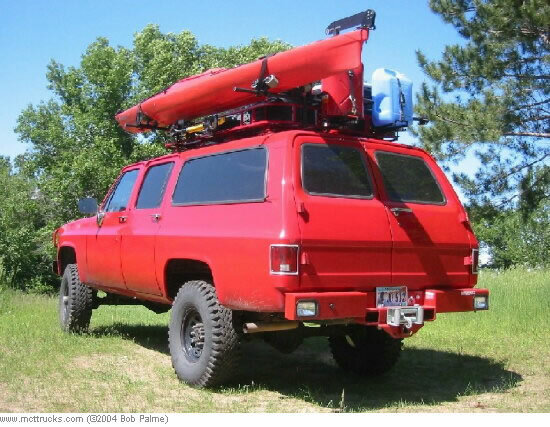 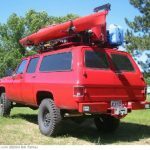 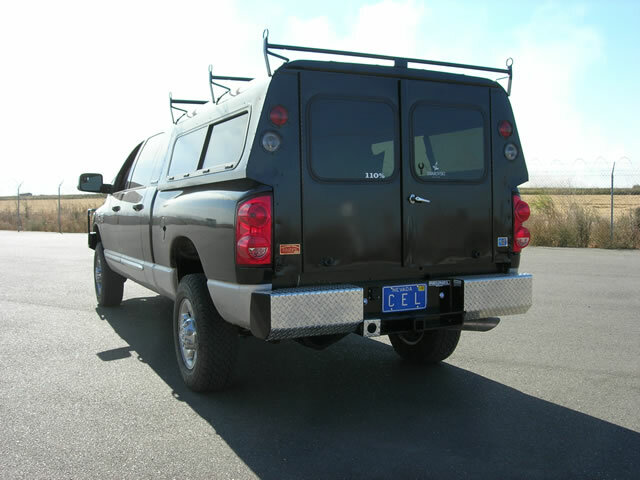 The Reunel extreme heavy duty rear towing bumper has been built continuously since 1967! 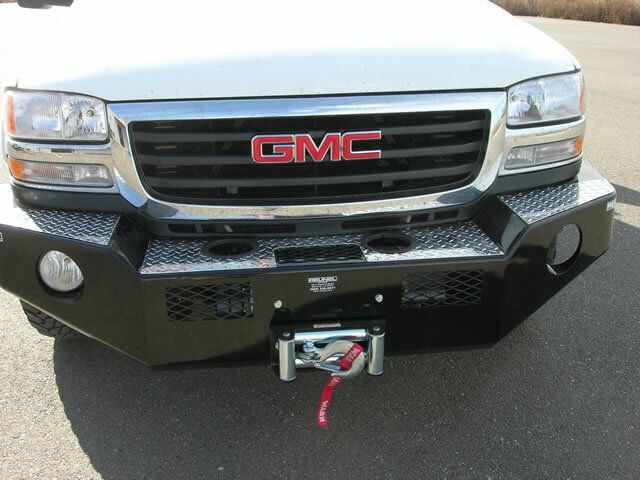 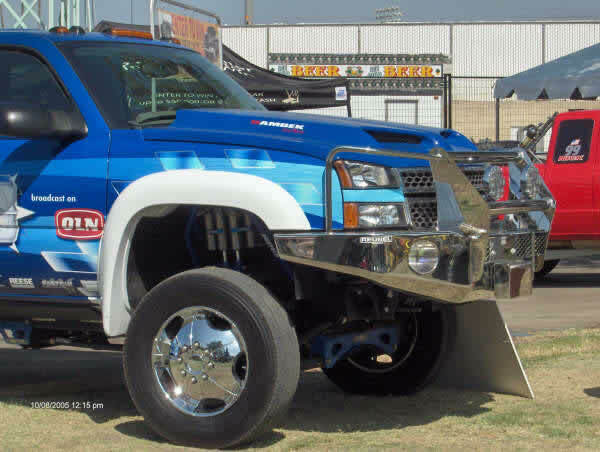 The Reunel bumper towing hitch capacity is rated to tow 20,000 pounds and delivers a 6,000 pound tongue weight. 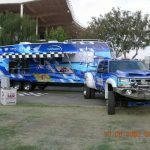 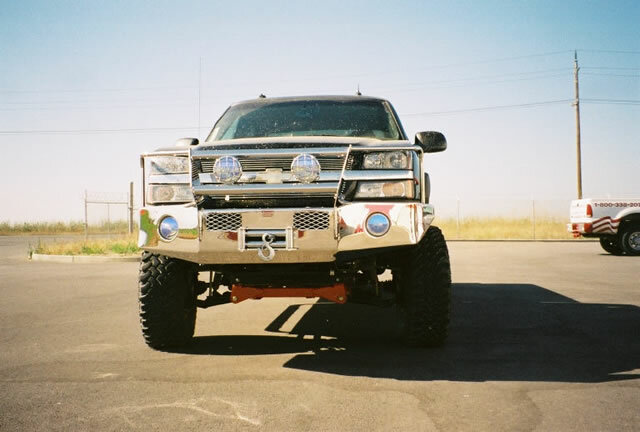 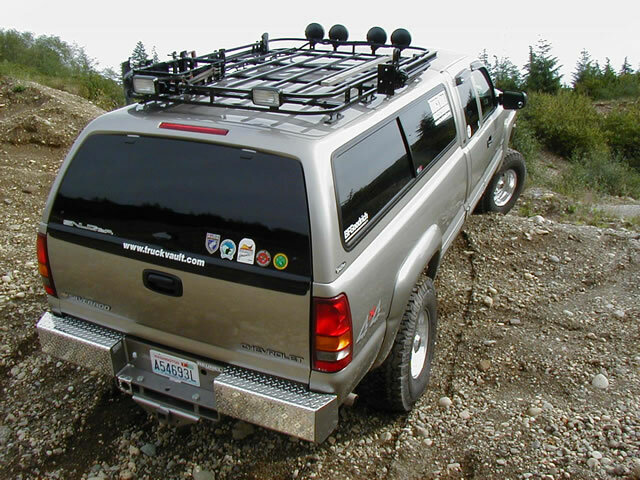 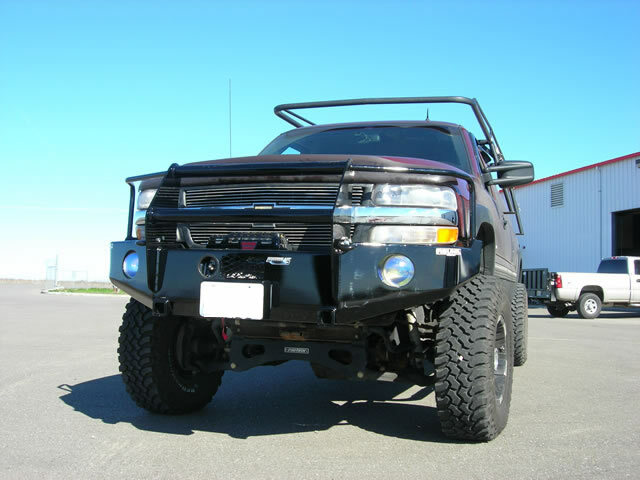 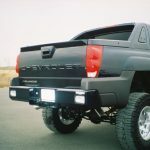 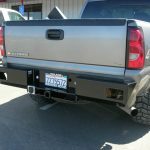 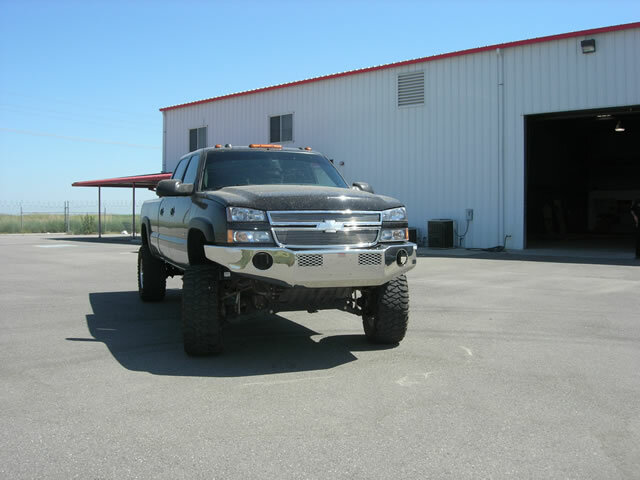 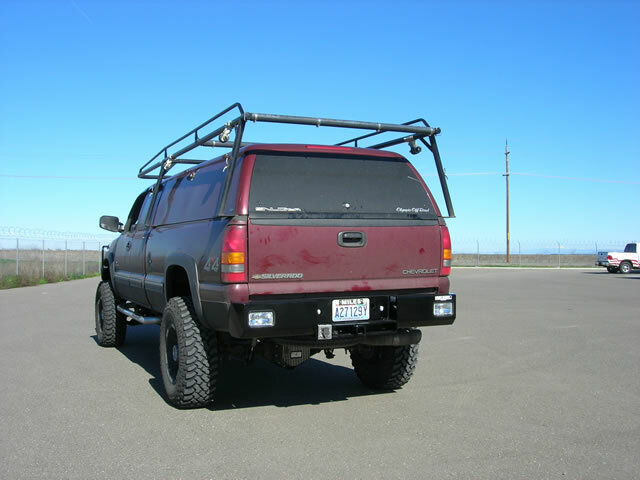 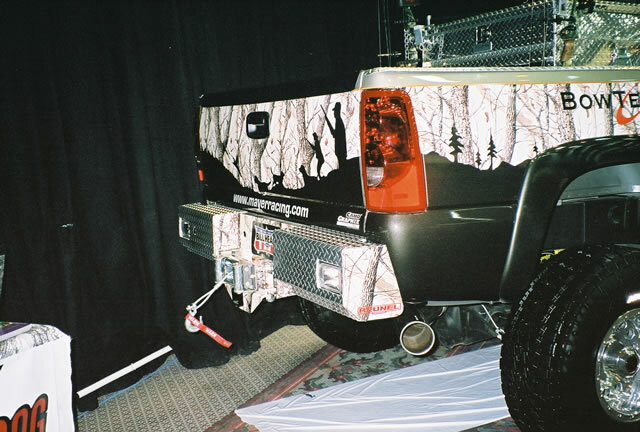 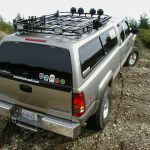 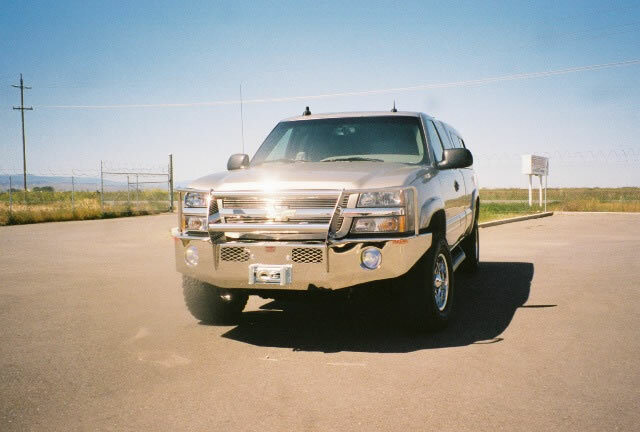 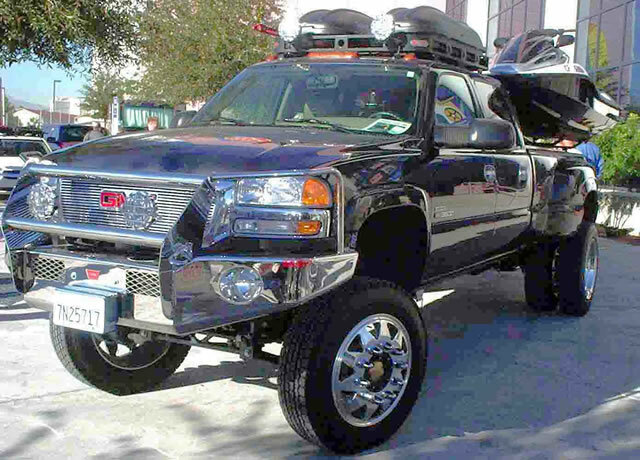 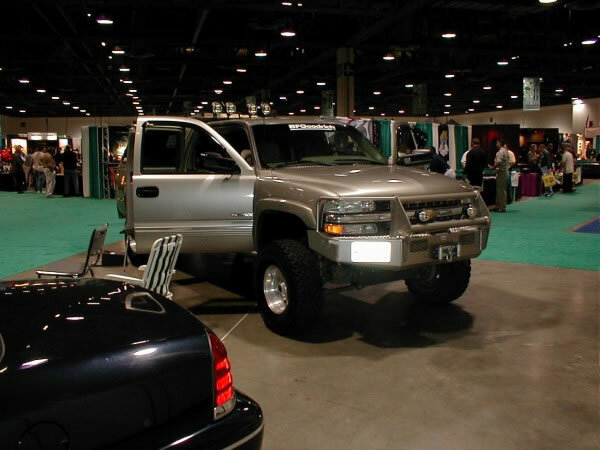 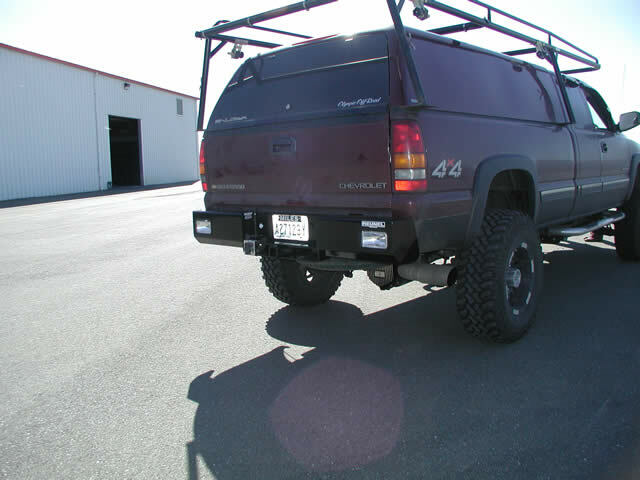 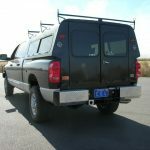 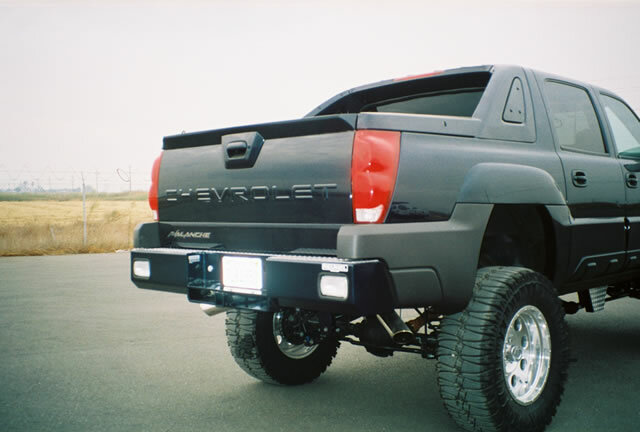 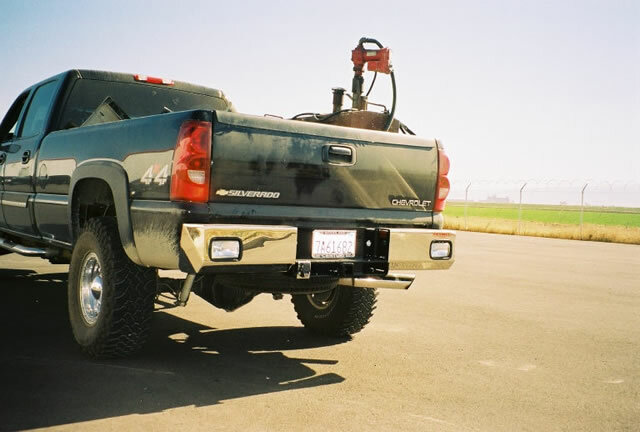 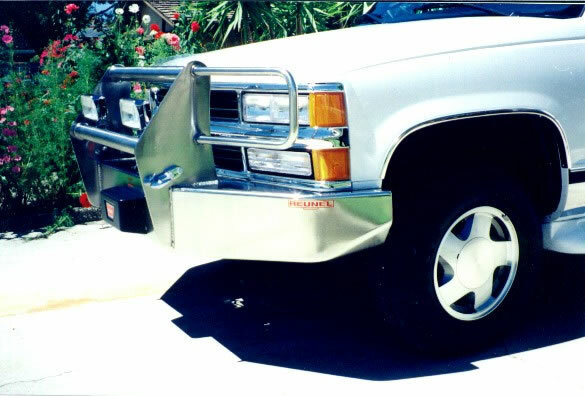 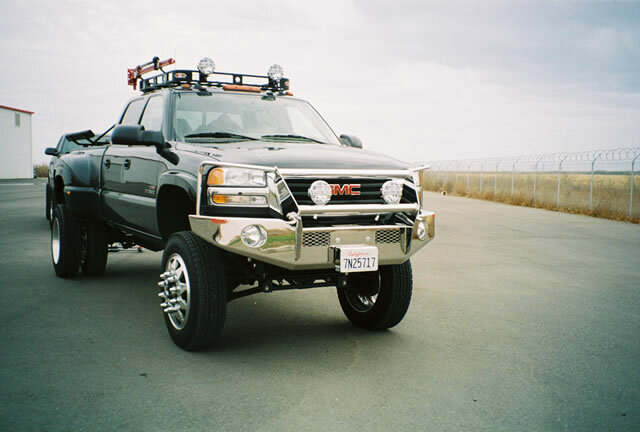 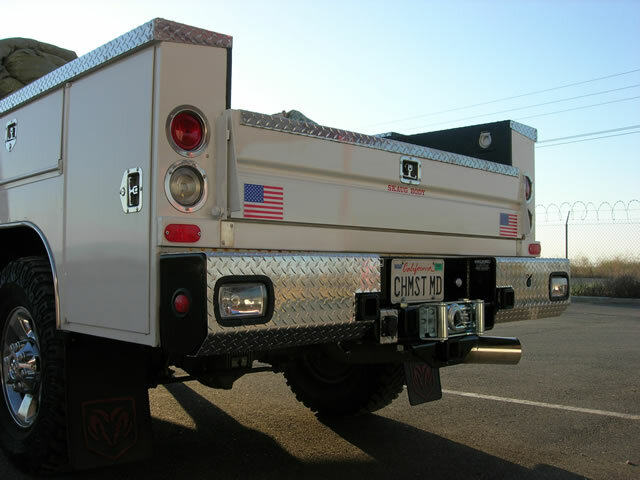 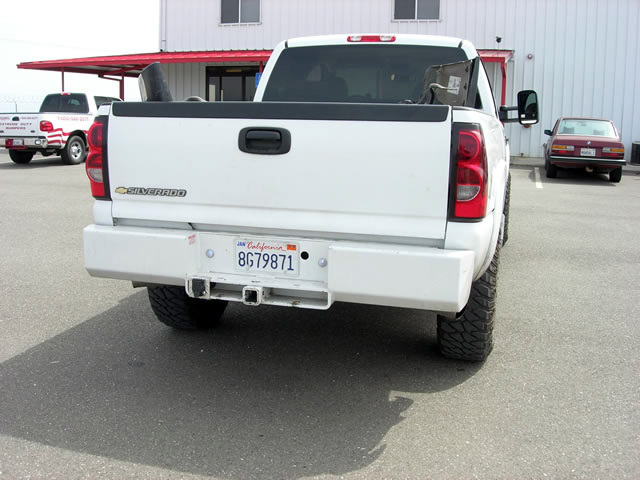 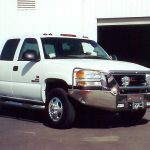 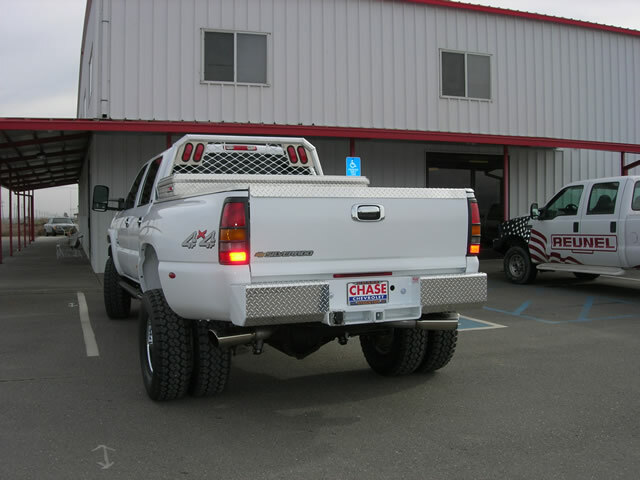 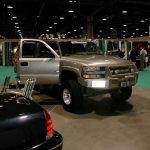 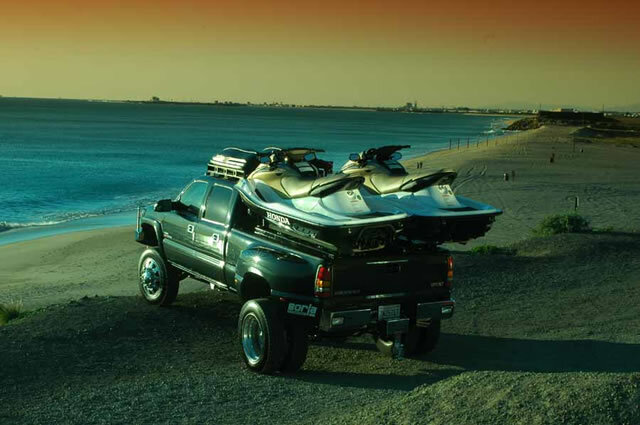 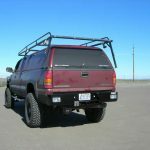 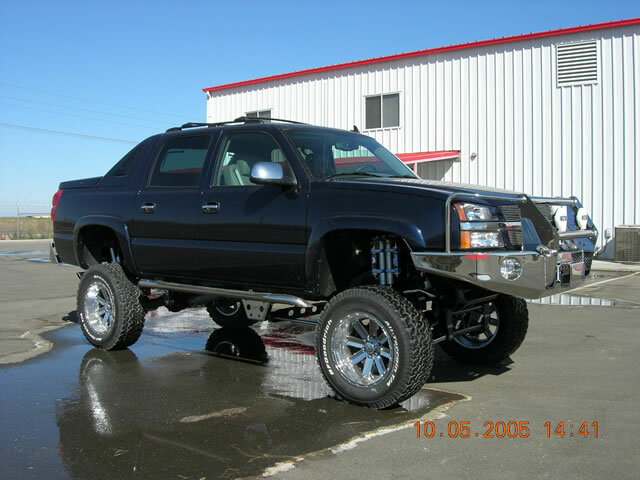 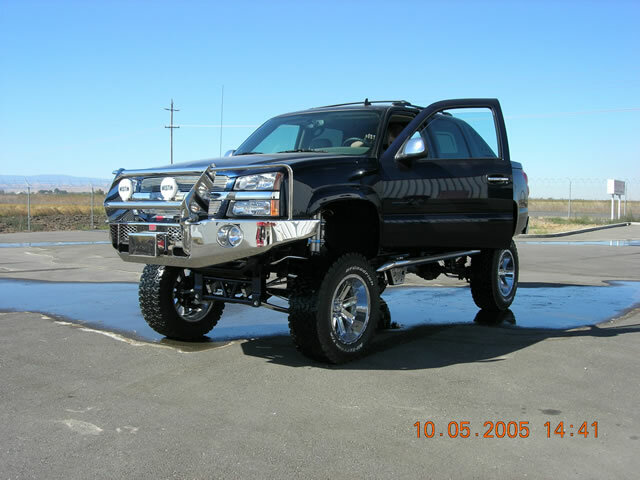 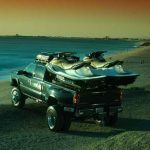 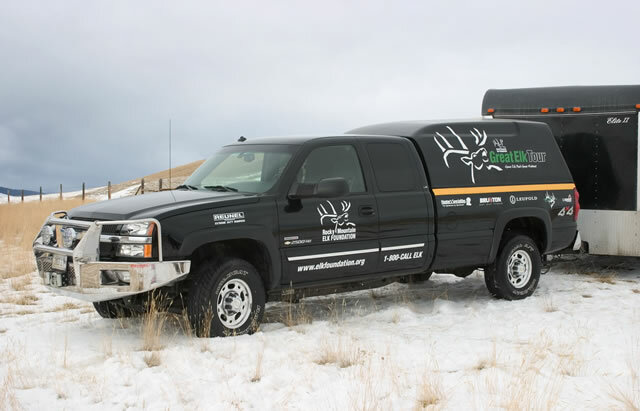 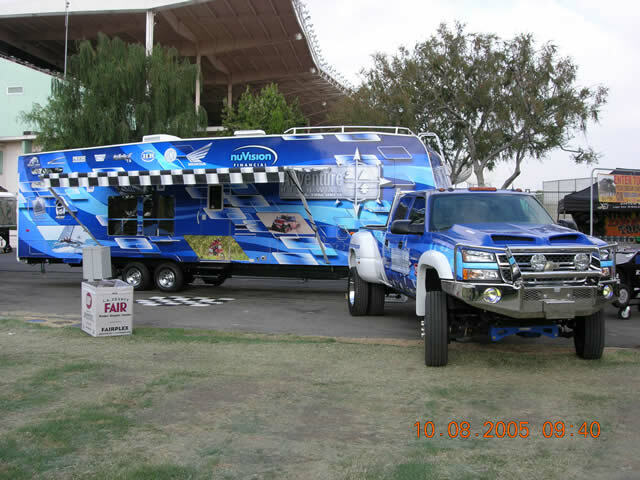 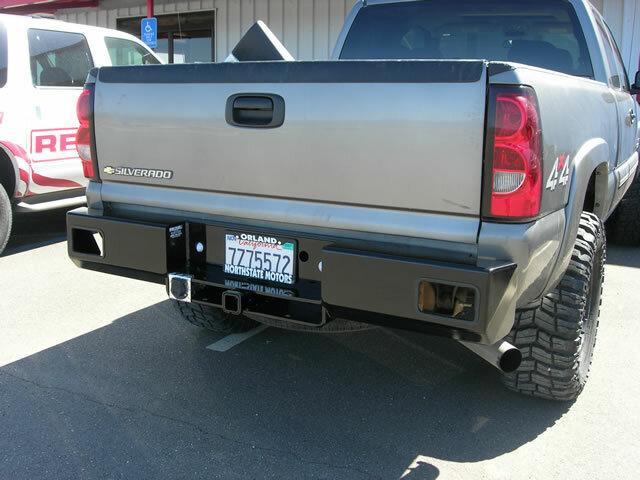 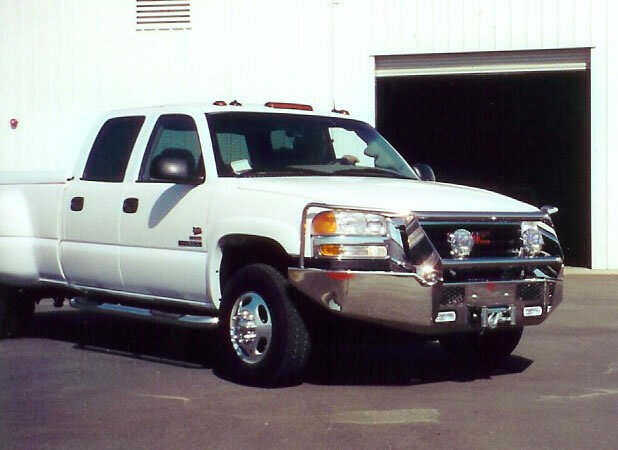 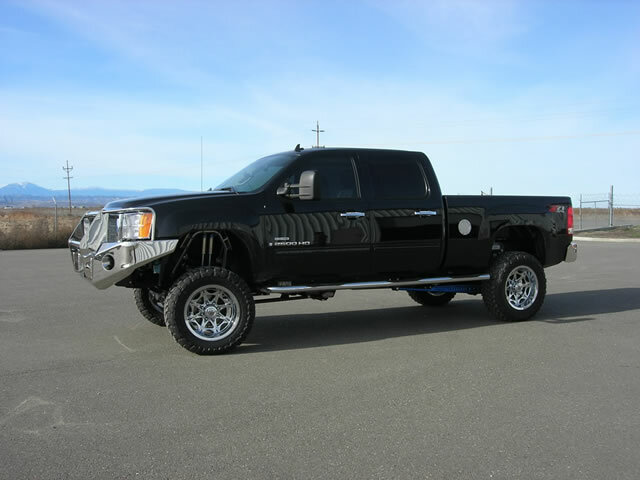 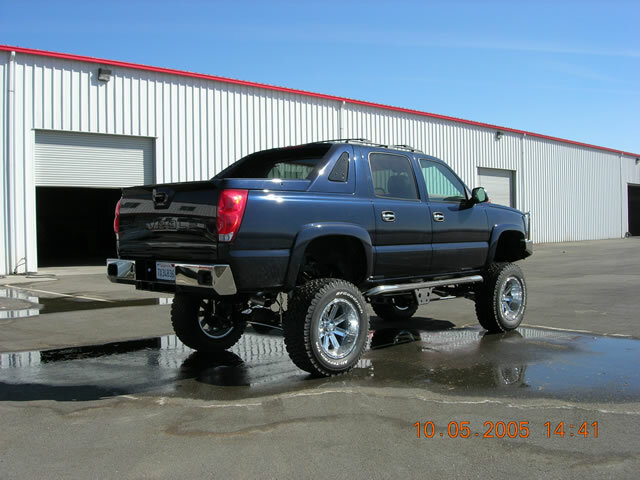 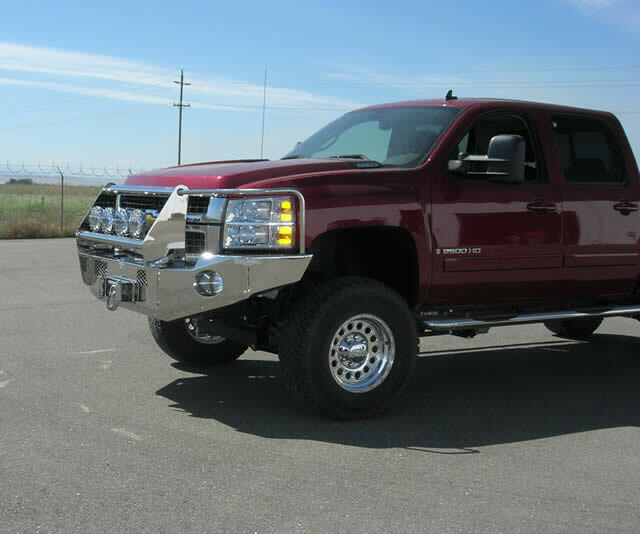 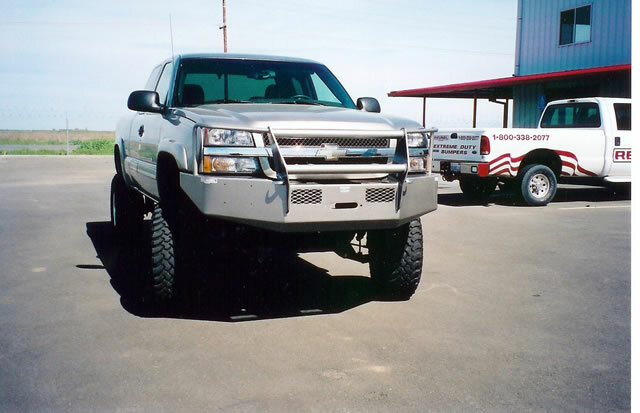 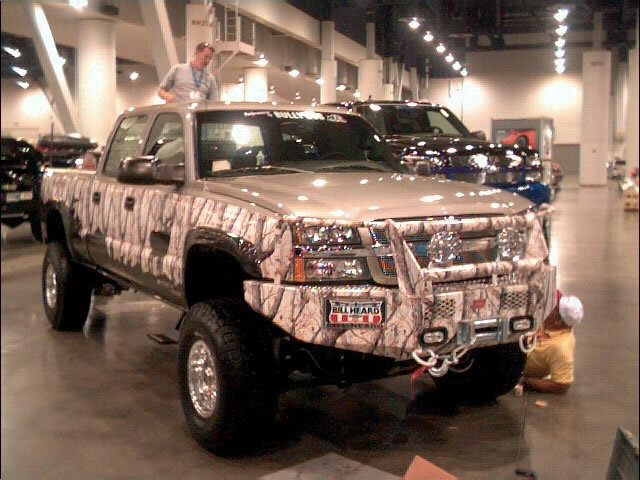 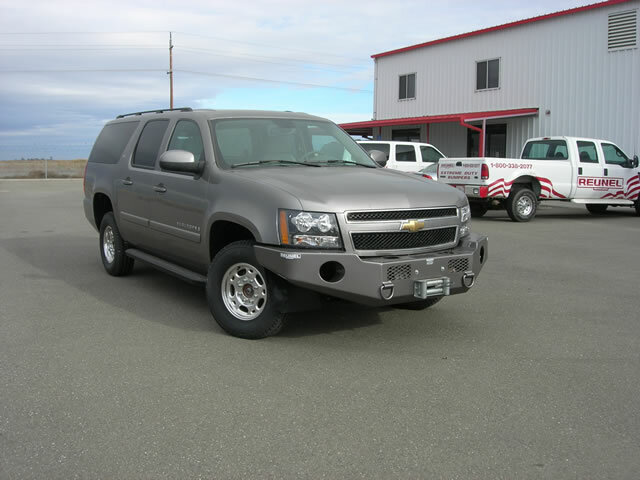 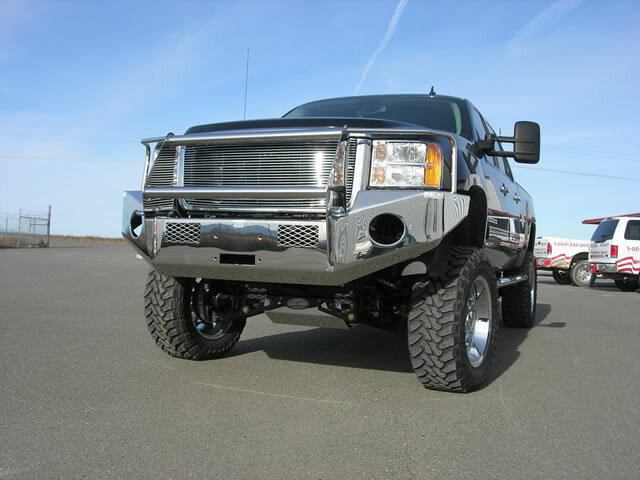 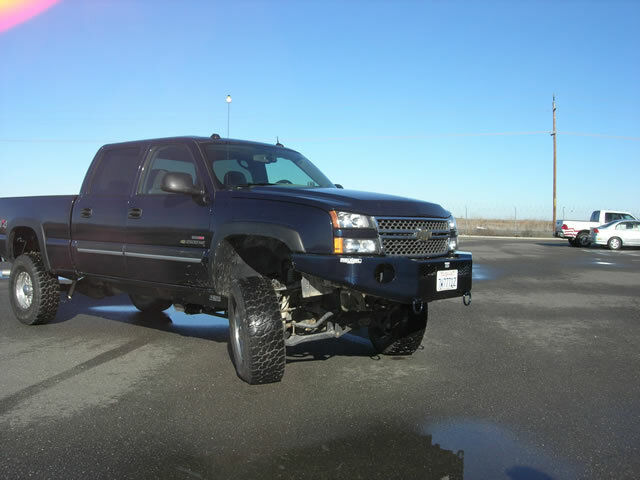 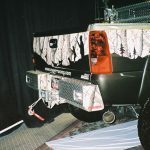 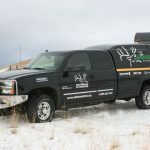 A combination ½” and ¼” steel structure offers formidable protection to the back of your truck. 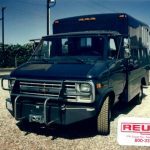 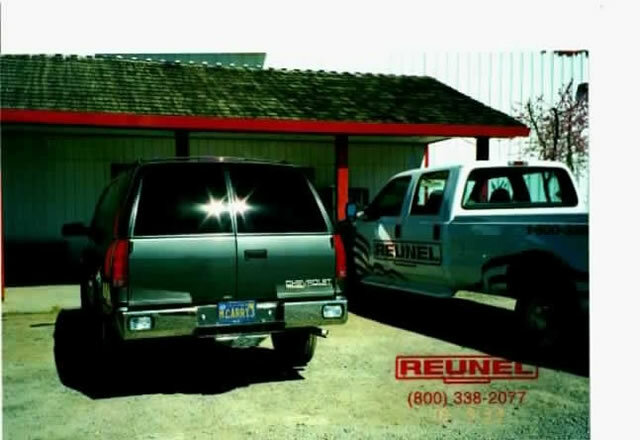 Special features, such as a tire carriers and/or hidden winch mount, make Reunel not only extremely tough, but also extremely functional. 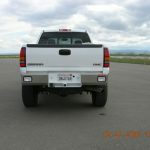 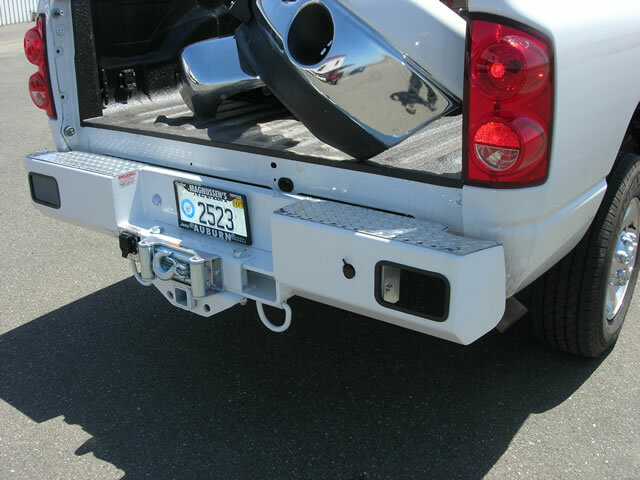 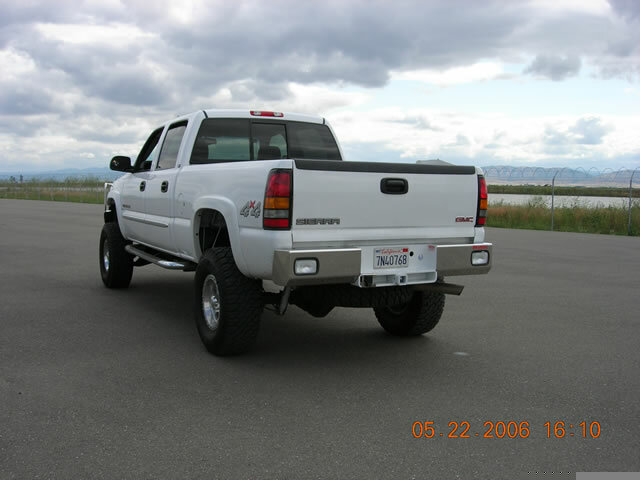 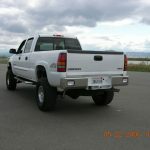 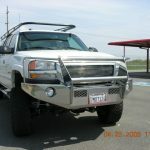 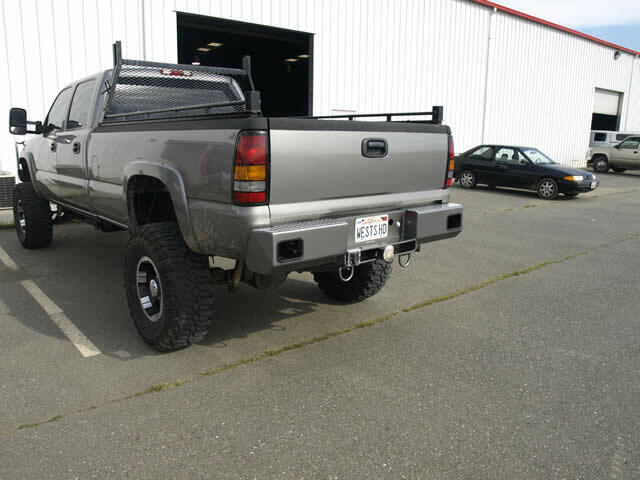 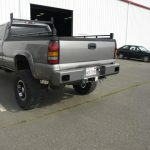 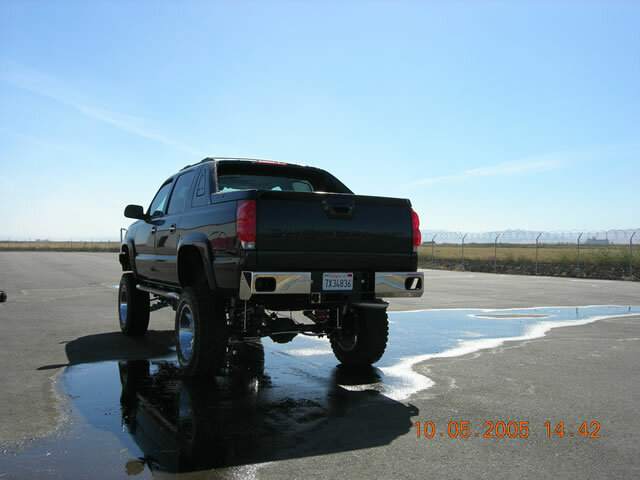 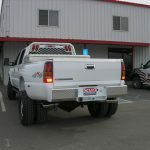 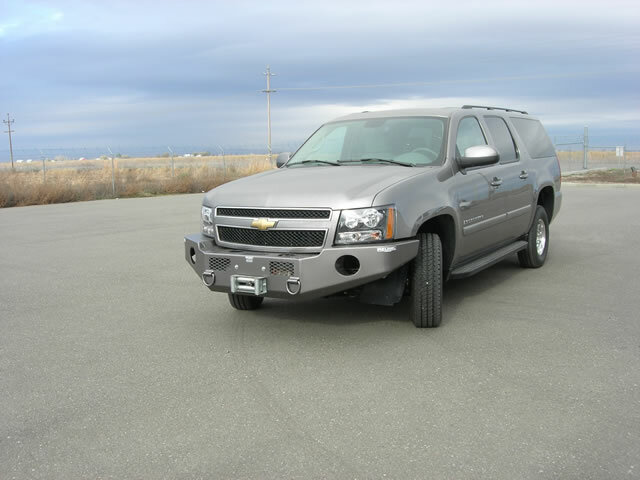 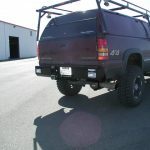 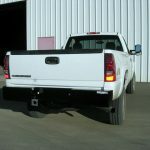 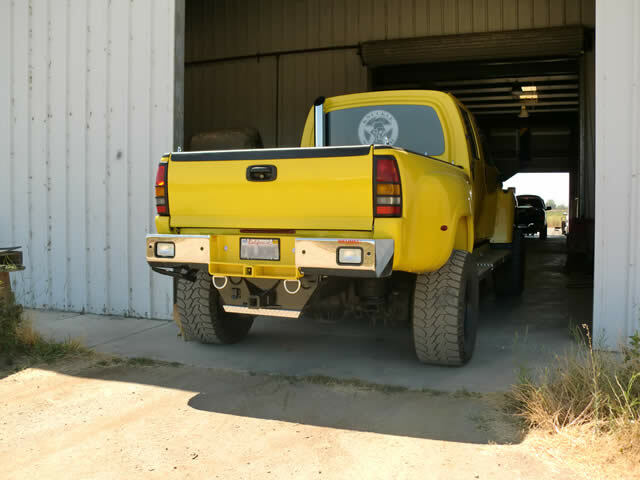 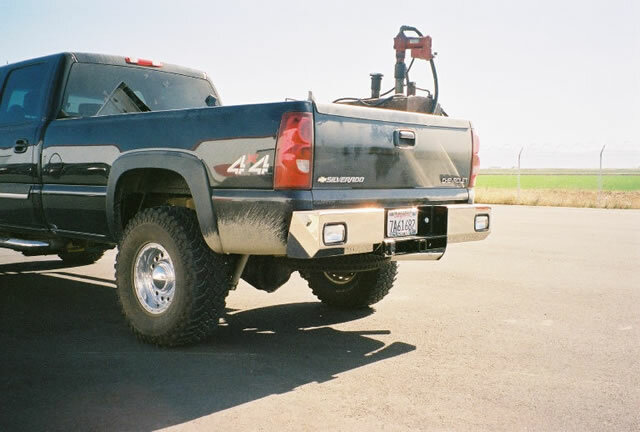 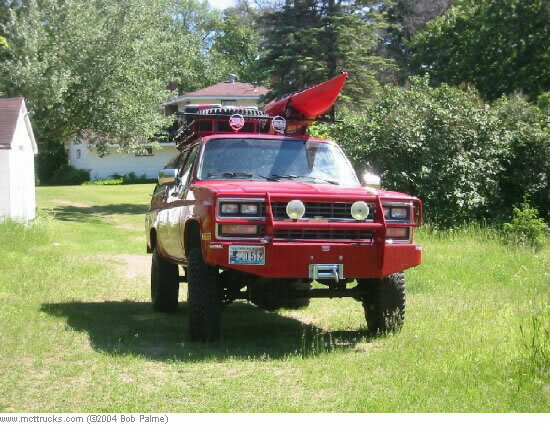 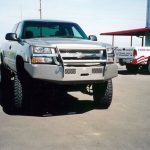 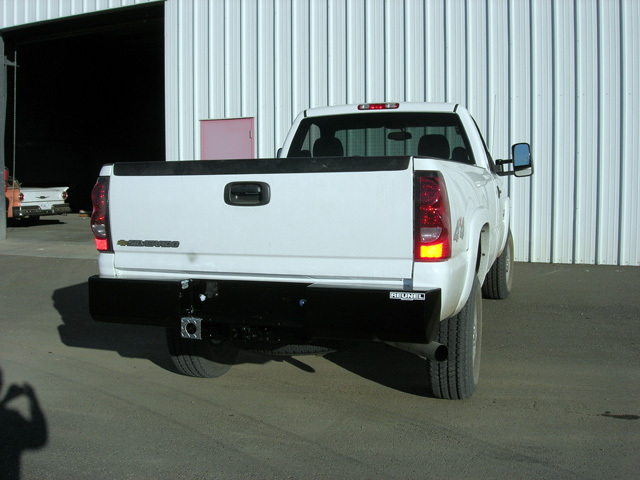 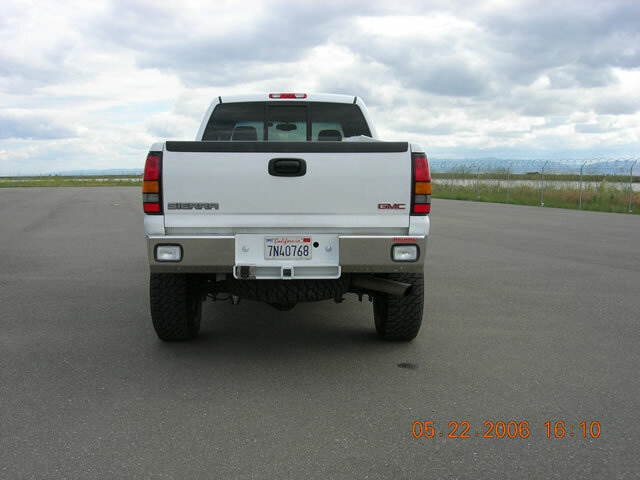 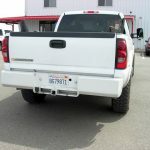 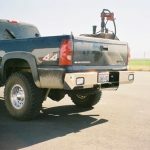 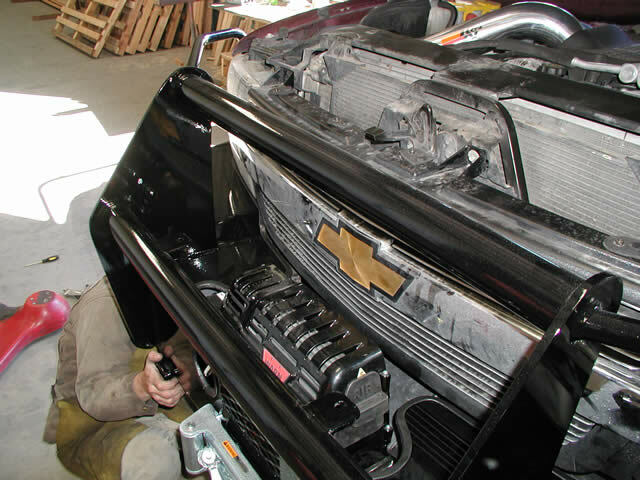 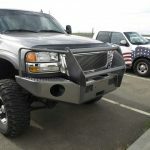 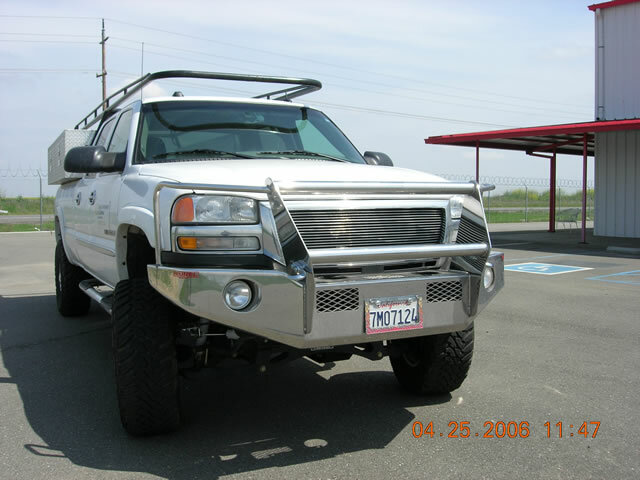 Stainless steel or painted bumpers are available. 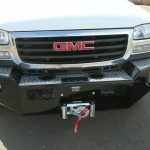 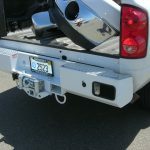 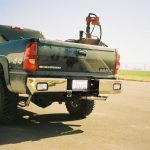 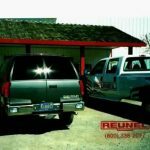 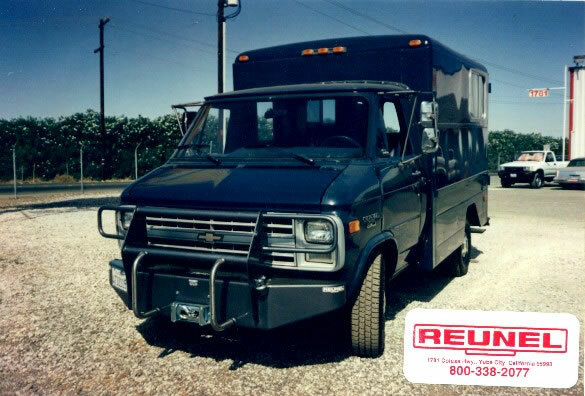 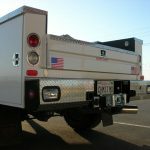 Reunel offers two different female receiver hitch options: a welded-in female receiver hitch, rated at 20,000 pounds towing with a 6,000 pound tongue weight, or a bolt on bottom mount receiver hitch for bumper configurations that include a built-in winch or where pintle and ring hitch will be used directly from the Reunel signature double center plates.